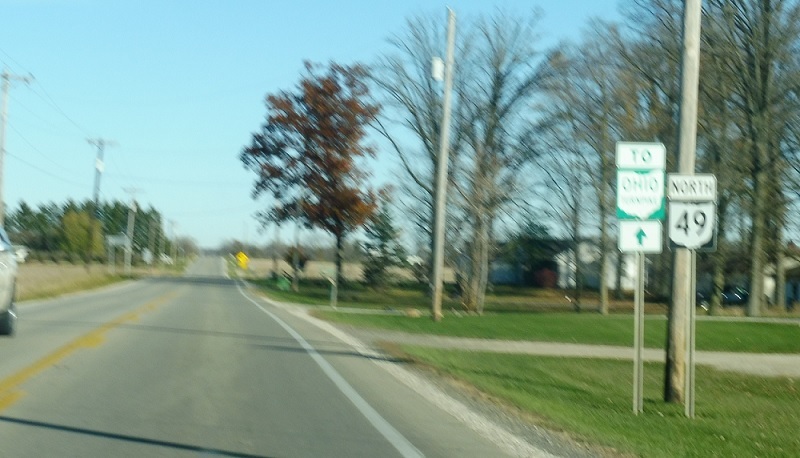 Reassurance shield with Ohio Turnpike trailblazer after the 107 junction. 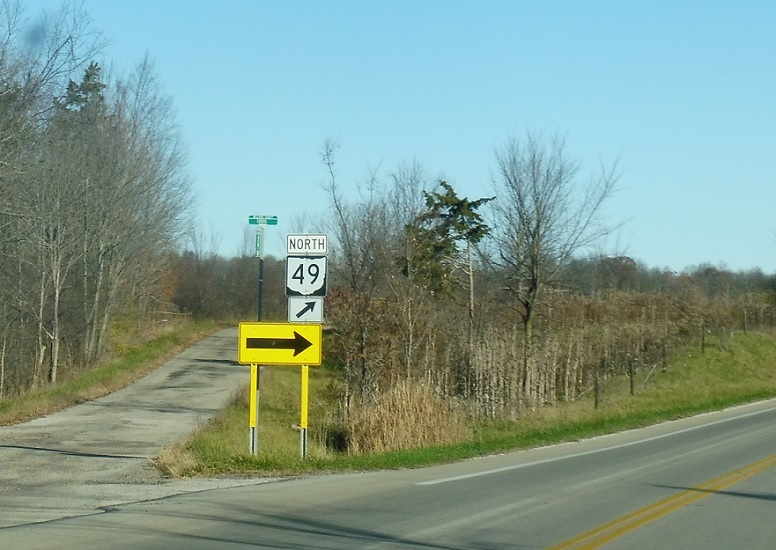 A mile later, keep right to stay on SR 49. 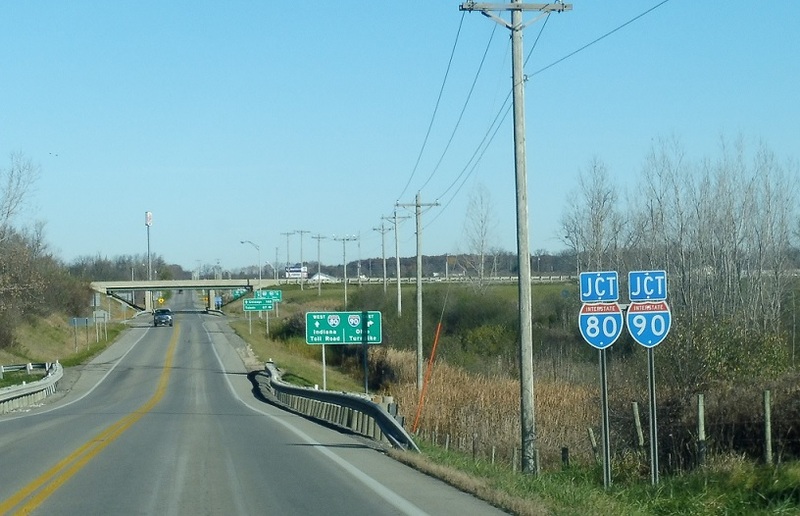 Shortly after that, we’ll approach I-80/I-90, the Ohio Turnpike. 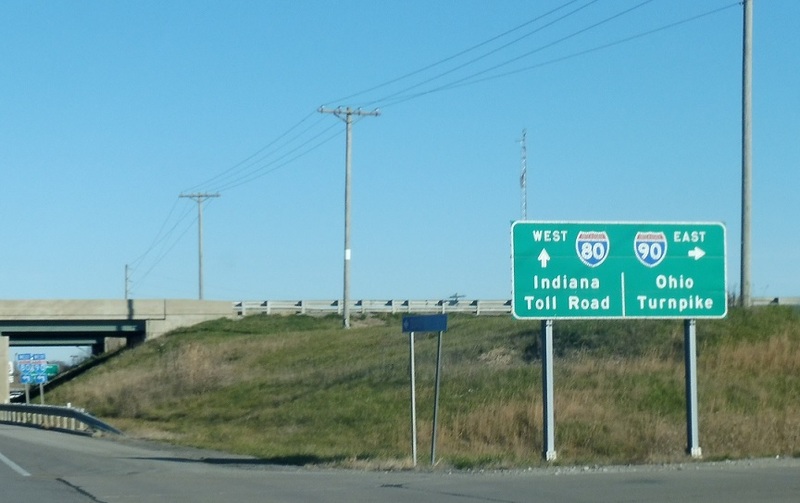 Because of how close we are to the Indiana line, I-80/90 west turns into the Indiana Toll Road before the next westbound exit. 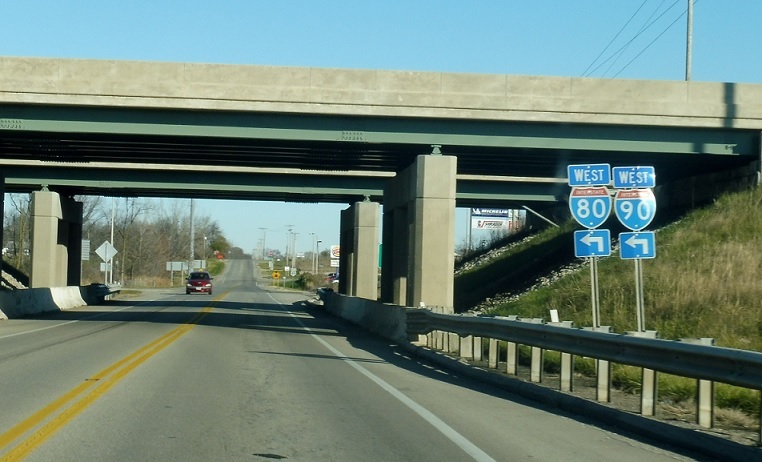 I-80/90 east carries the Ohio Turnpike. 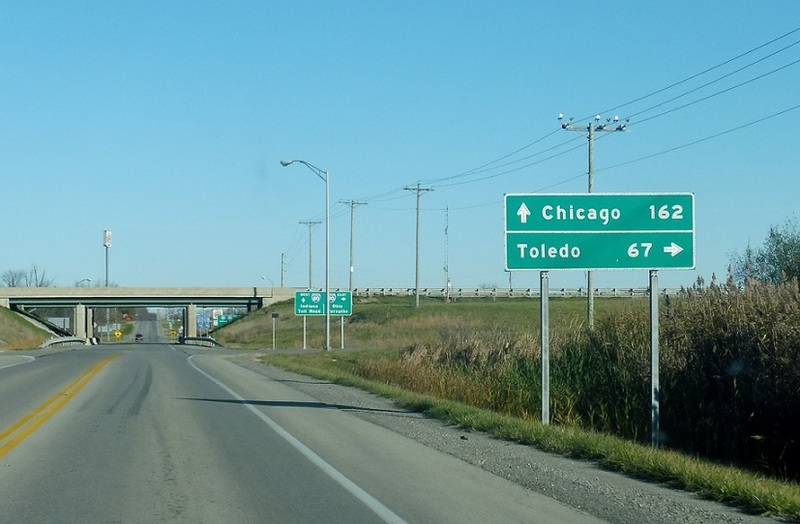 Follow the westbound Toll Road to Chicago, Ill. and the eastbound Turnpike to Toledo. 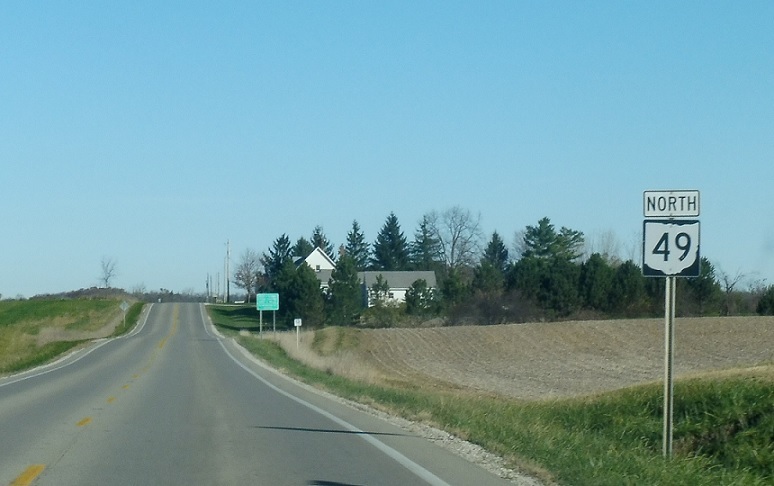 Turn right for the eastbound Ohio Turnpike. 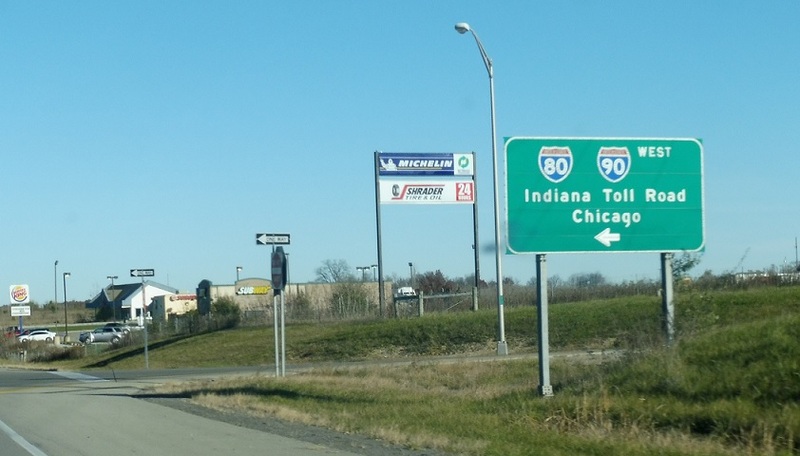 Turn left for I-80/90 west. 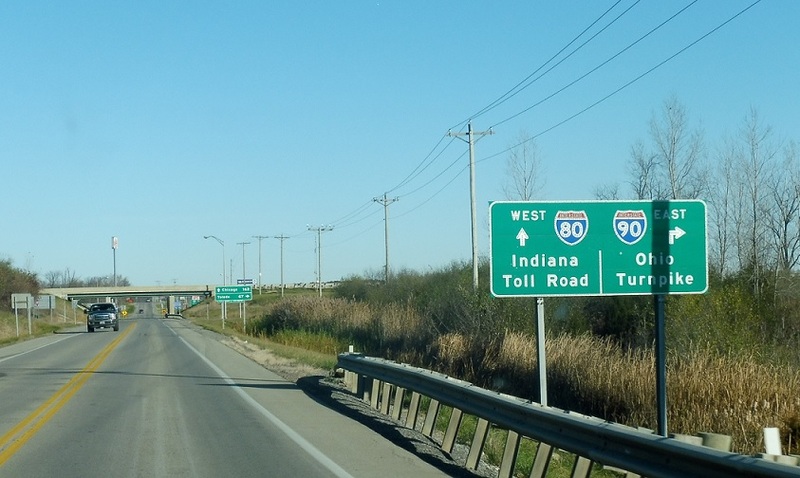 Follow the westbound Ohio Turnpike to the Indiana Toll Road.